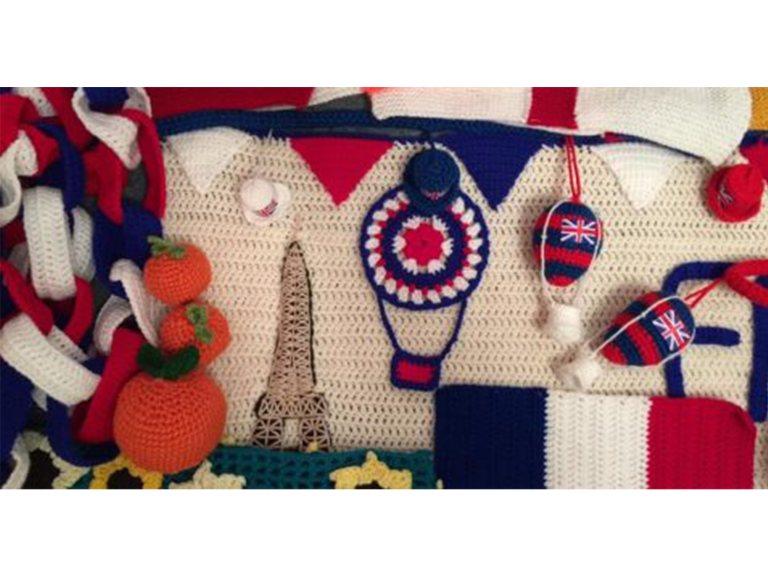 From 4th May you will be able to visit Bishops Lydeard to see our annual Somerset Day Yarnbomb. This year it will be in place for the whole month of May. The theme is based on Jules Verne ‘Around The World In 80 Days’ and you will be able to tour the village from Greenway to Darby Way spotting many different items representing each country which have been knitted, crocheted and sewn by the Bishops Lydeard Yarnbombers (YBL) There will be spotting sheets available in local shops so that you can search for every display we have made. Please come along and see all the hard work that has been done this year to make our beautiful village even more colourful. While you are there, you can visit our lovely shops, tea room, pubs, beautiful church and of course the West Somerset Railway. Celebrate Somerset Day by visiting our village.